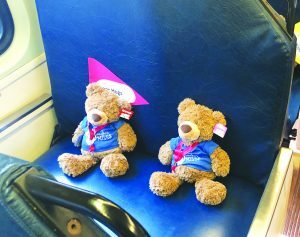 Over 400 teddy bears rode the CT Rail train from Hartford Union Station to New Haven Union Station. Then they boarded a bus to Yale-New Haven Children’s Hospital where they reached their final destination—children’s hugs. 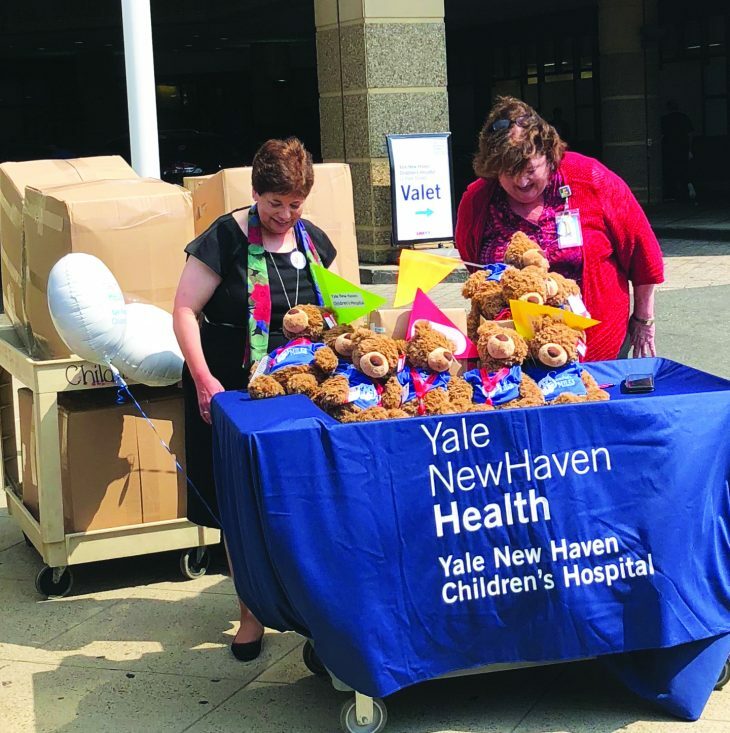 The idea of teddy bears journeying to provide comfort to children undergoing treatment for cancer was launched by the family of Sandra Guzzo. Teddy Bears riding the train. The teddy bears wearing customized blue t-shirts with the name Sandra Smiles, was donated by GUND, a manufacturer of stuffed animals. Several volunteers, friends of the Guzzo family, participants from the Connecticut Department of Transportation, and the GUND Corporation traveled with the teddy bears on the train and bus.